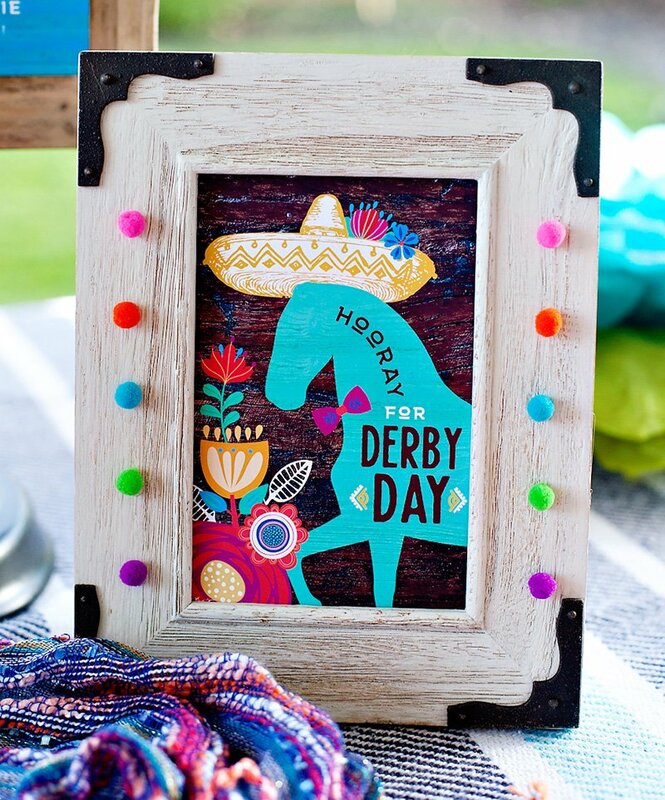 Gatsby + Derby + First Birthday… who knew that combo could be so EPIC! 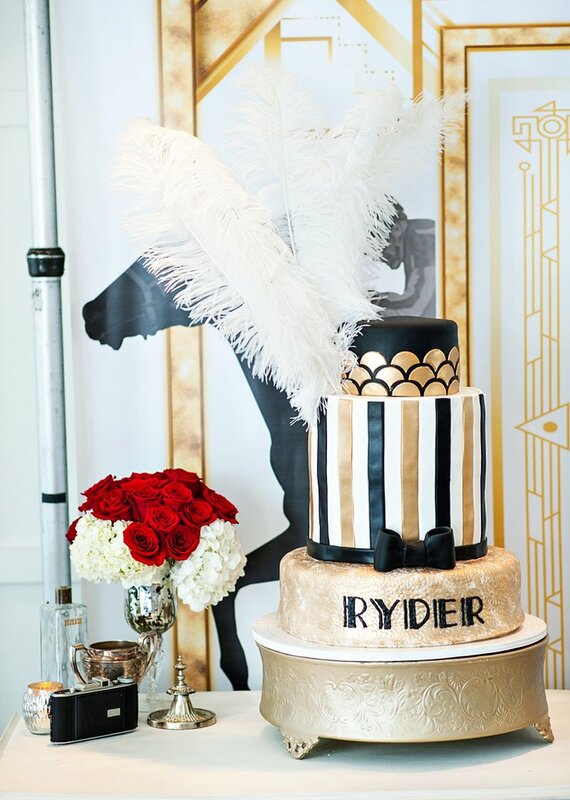 If you’re looking for unexpected inspiration, Loriann Serna of Wife Of The Party is sharing some of her incredible party styling magic today with Ryder’s Roaring Gatsby + Derby Style First Birthday. 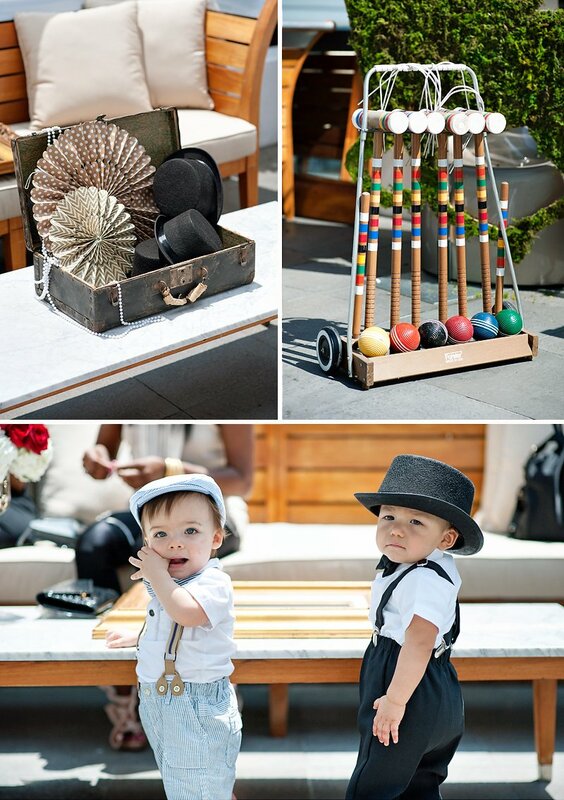 From the gilded Art Deco desserts and fresh red roses to the pony sticks and playful 20’s outfits, I love how she seamlessly matched everything while managing to keep the party both kid AND adult friendly! 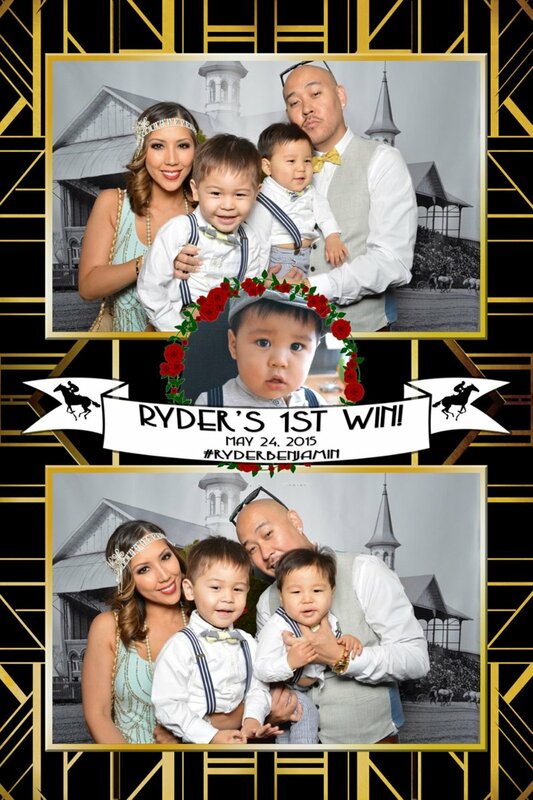 Ryder’s first birthday was celebrated in style in the Garden Room at the SLS Beverly Hills. 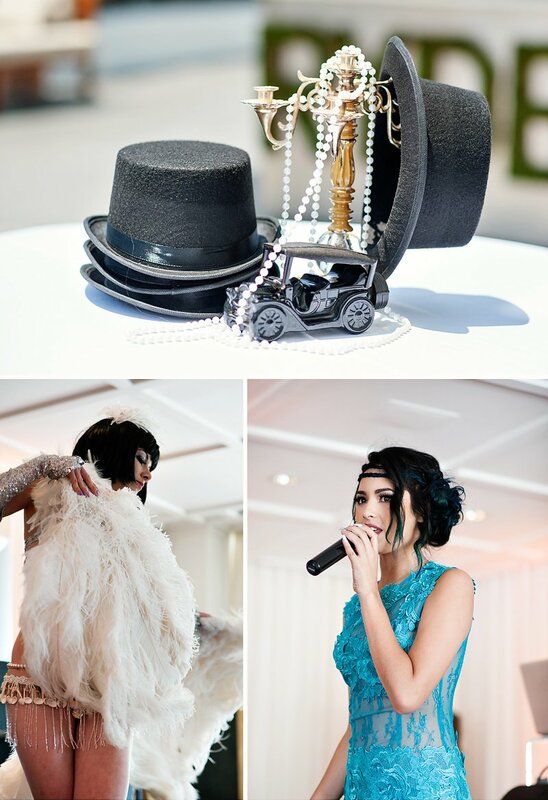 Since the room boasted vibrant red carpet we figured it would be fun to incorporate a theme like the Great Gatsby where the colors worked well and guests young and old could dress the part. 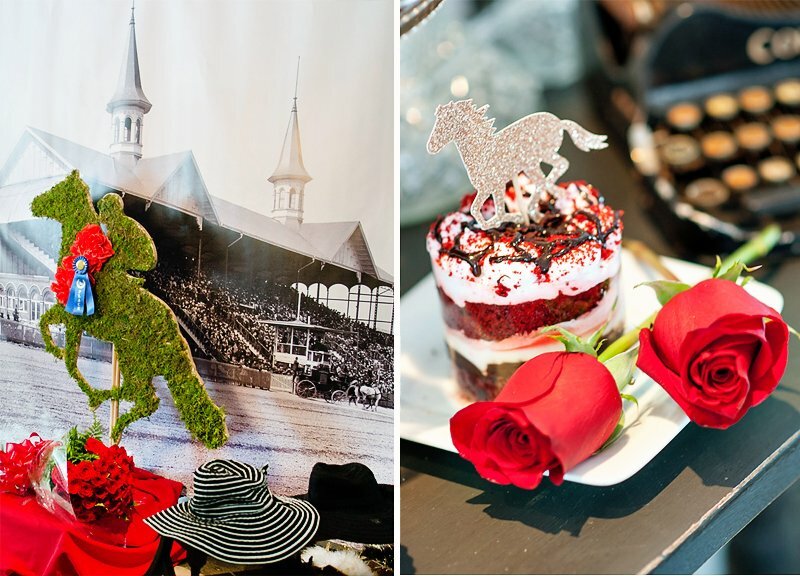 To incorporate more childlike aspects we pulled in elements of a derby day theme complete with life-sized moss covered wooden horses, a winner’s circle in the photobooth complete with a red rose bouquet and trophy. Guests enjoyed a lunch menu with a delightful selection of salads, roasted tomato and herb soup, jidori chicken and casarecci pasta. 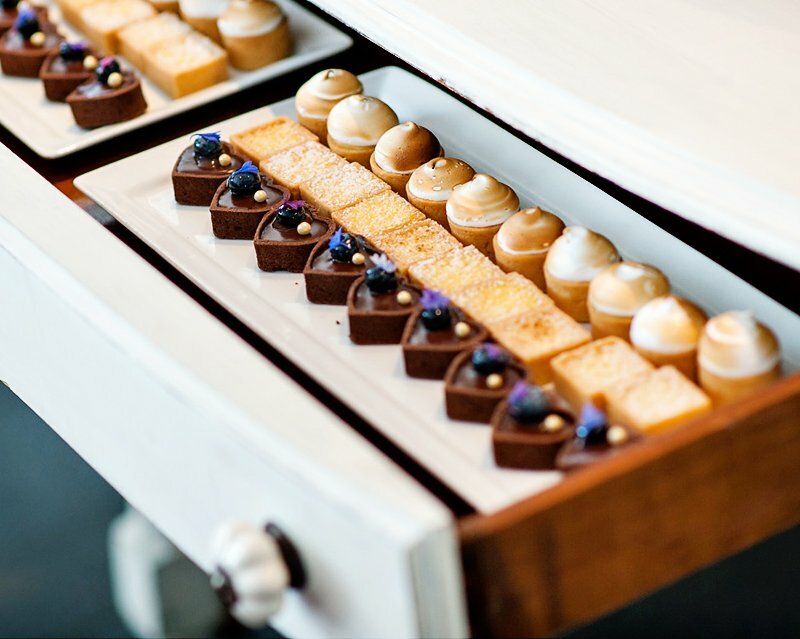 However, I think the children were more excited about the 12×8 dessert table. 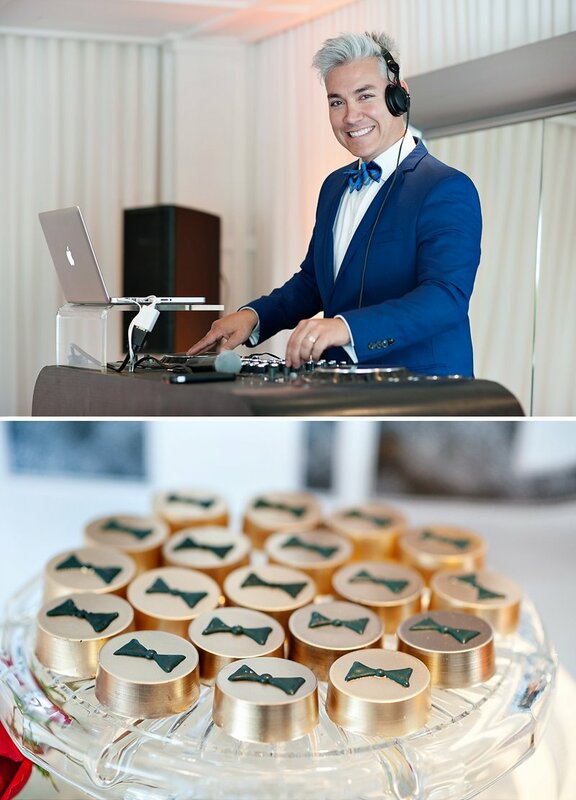 Party goers had so much to choose from including golden chocolate covered Oreos, cake pops, individual mini cakes, fresh fruit tarts, milk and cookies and of course – birthday cake! 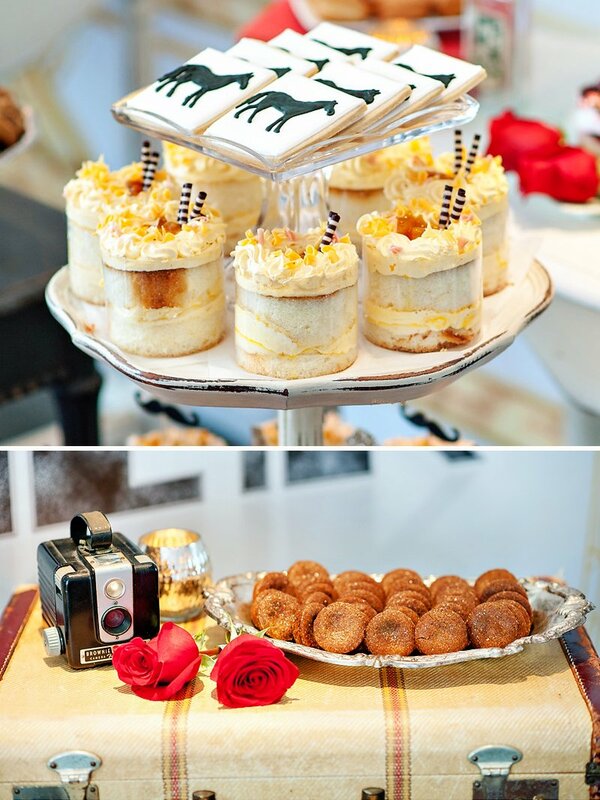 Desserts were decorated with handmade picks and accompanied by smalls from a local vintage rental company we love. 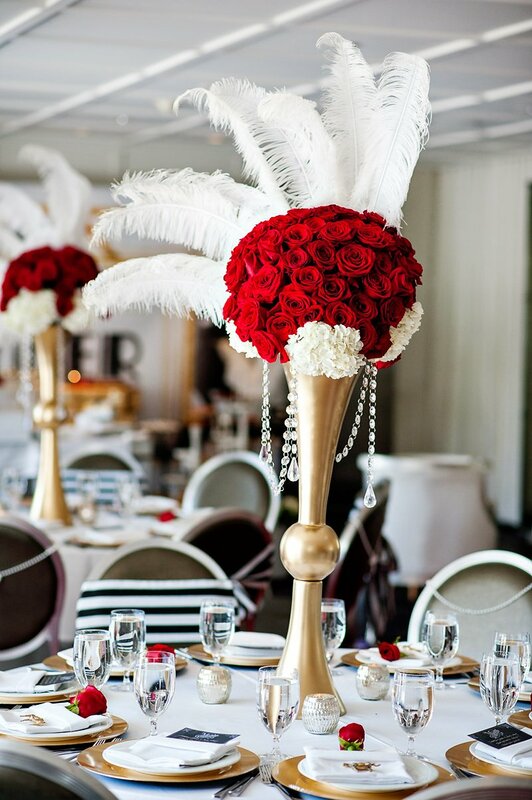 Indoors, each table boasted a beautiful gold vessel topped with red rose topiaries and crystals hand strung throughout. 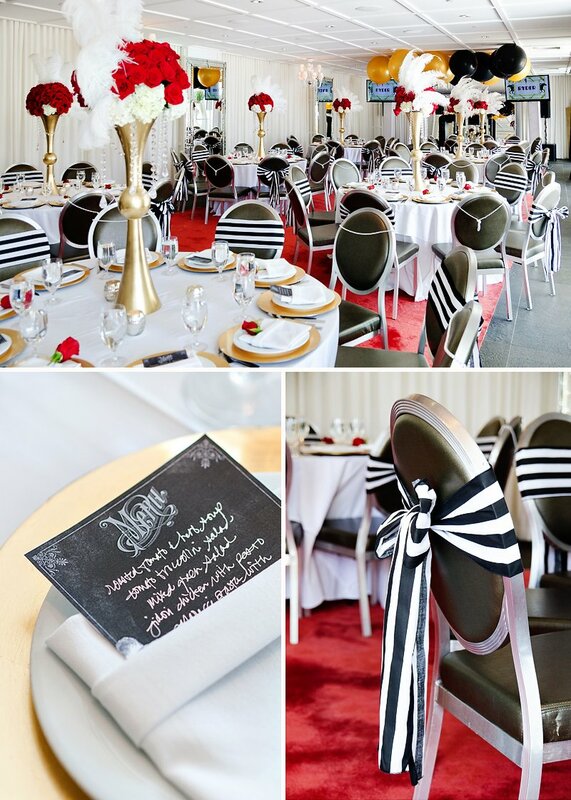 Black and white striped ties and strings of pearls complimented each chair. 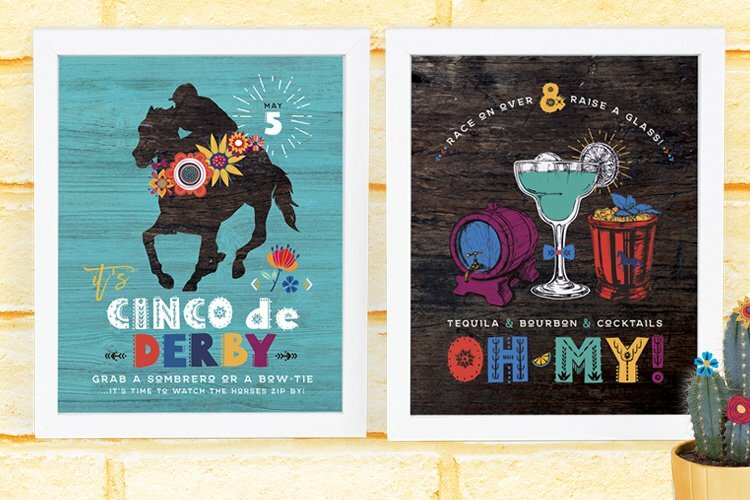 Tiny golden horses and hand written derby themed menus polished off each place setting. 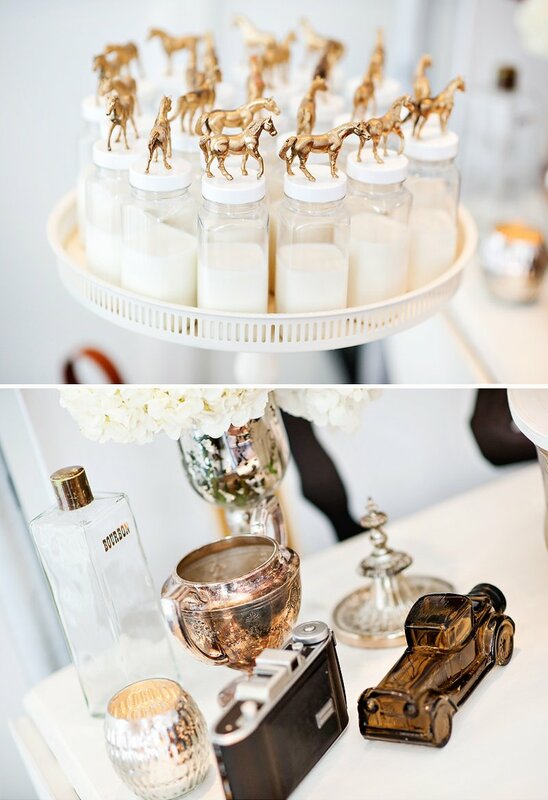 Outdoors, vintage suitcases filled with paper fans and toddler sized top hats dressed up highboy tables. 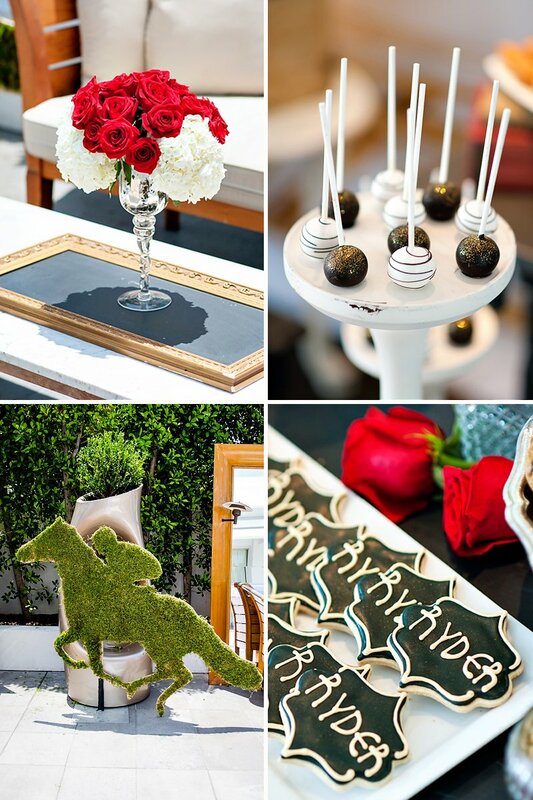 Vintage gold frames served as trays on lounge tables prettied up by smaller red rose arrangements. 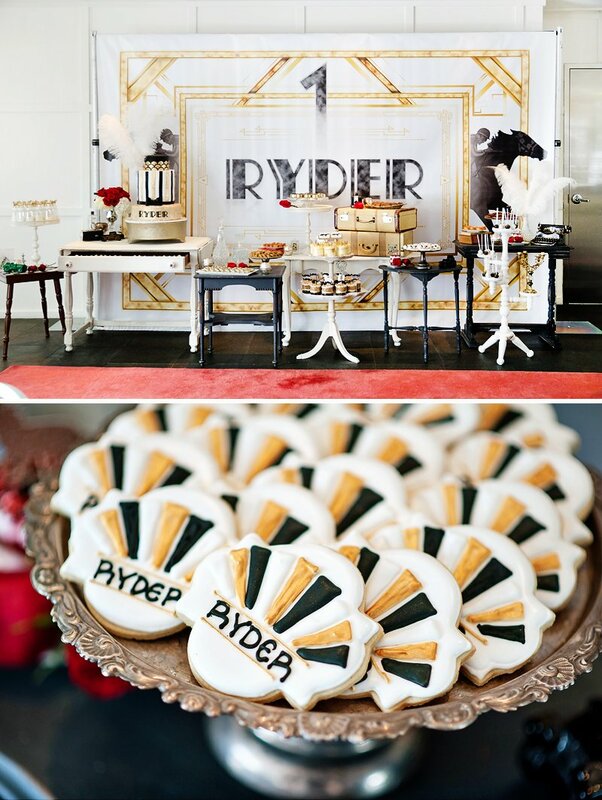 The bar that served up mint juleps for mom & dad was decorated in large foam letters for Ryder. 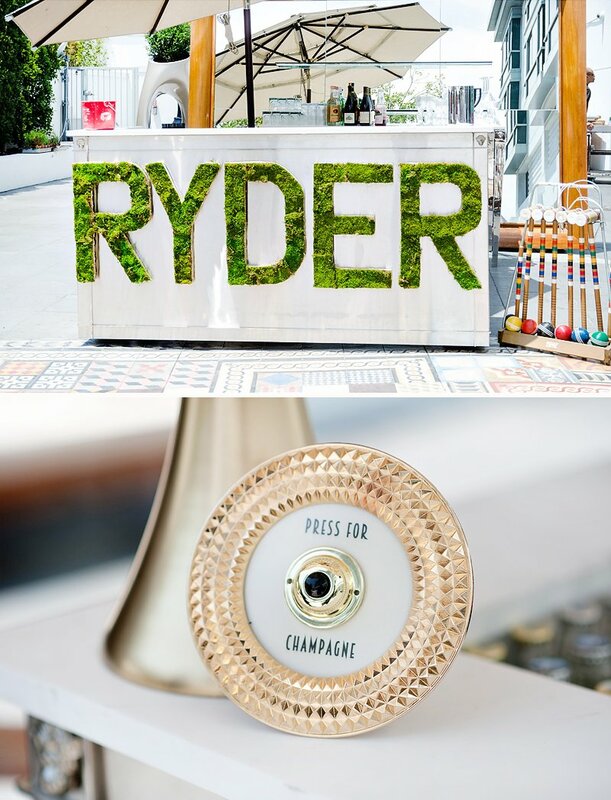 Right next to it sat a colorful croquet set and “press for champagne” custom sign. 36″ balloons were throughout. Children had a variety of activities such as a marionette show, face painting, a horse tattoo station and a surprise appearance by up and coming singer Jasmine Villegas! 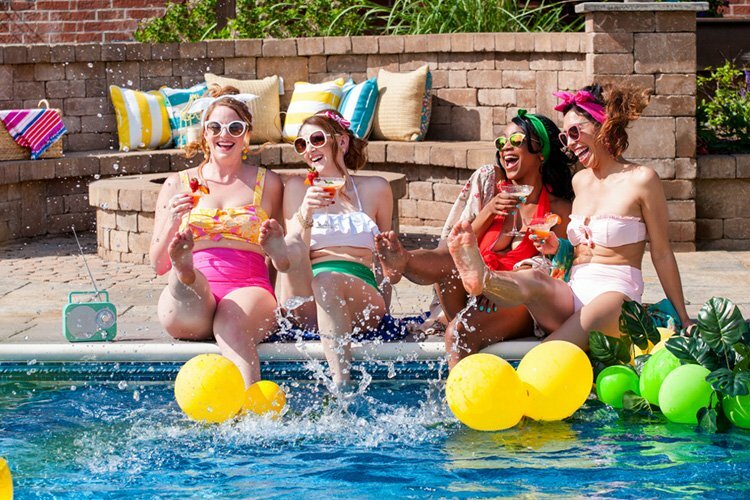 They danced to music from a live DJ and enjoyed slideshows on two freestanding big screens. There was even a 1920’s performance and feather dance. 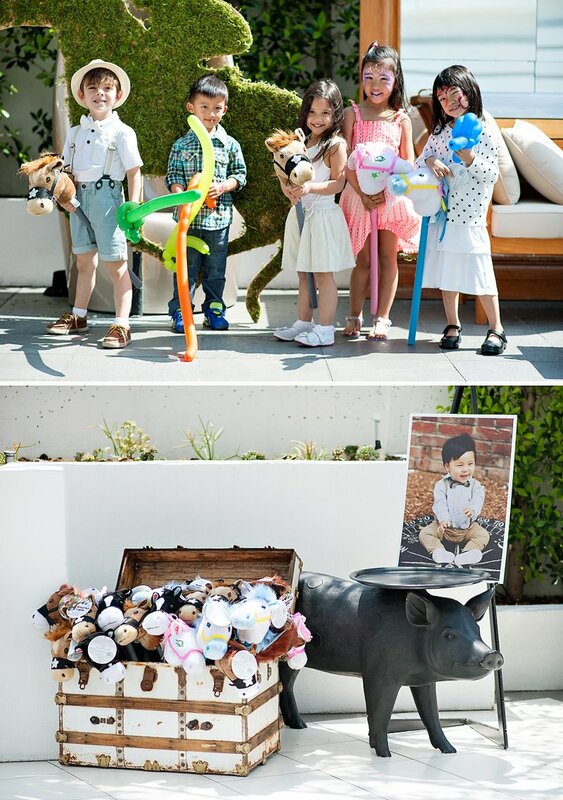 As they bid farewell they chose a pony on a stick for a keepsake. It was a day to remember! This is absolutely incredible! Bravo! 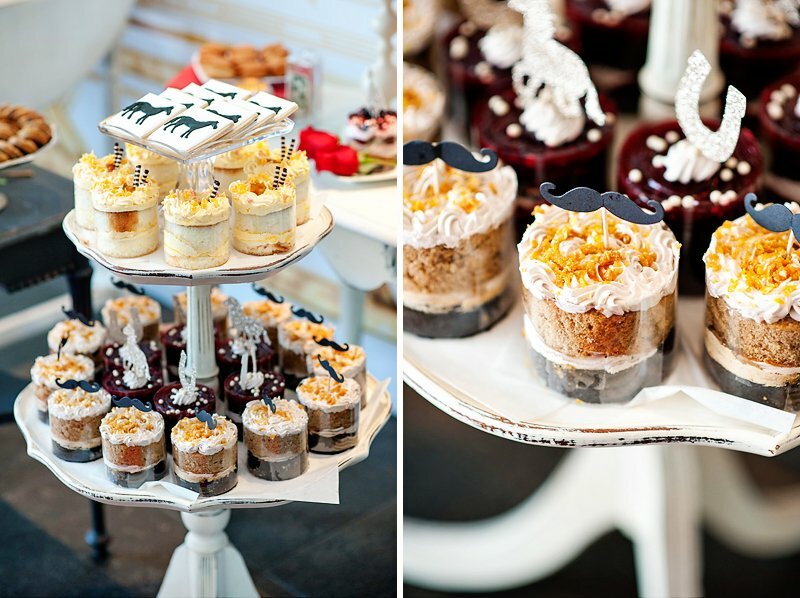 could you please share details for the company that designed and printed the dessert bar backdrop. I am not able to find them online.